To better understand this trend, Kantar Media recently performed an analysis of brand visibility in Amazon search results for several product categories within the health ­vertical. In August 2017 Amazon launched its Basic Care health brand, which features dozens of over-the-counter drug products containing the same active ingredients found in major O-T-C brands (ibuprofen, acetaminophen, cetirizine, minoxidil, etc.) but at lower prices, of course. From August 1 to August 15 — on the cusp of the key ragweed season — Kantar Media found Amazon’s Basic Care was the top brand displaying in Amazon.com search results for four popular allergy-related keywords — including allergy pills, allergy medicine, allergy and allergy relief — based on factors including the percentage of time the brand was found in the top-three positions on the first search results page, the brand’s average page position and the number of the brand’s listings found. Zyrtec ranked second in Amazon.com search results on the four allergy keywords, followed by Claritin, GoodSense and Flonase rounding out the top-five brands. During the same two-week period, Amazon private label brands were among the most visible in another health-related category, vitamins. Amazon Elements, Solimo and Amazon-owned Whole Foods brand 365 Everyday Value ranked 7th, 8th and 9th, respectively, on the top 17 vitamin keywords (vitamin D, vitamin C, prenatal vitamins, etc.). Nature Made and Bronson were the top-two advertisers on the vitamin keywords. Although none of the Amazon brands cracked the top-five on their own, collectively all three brands would have ranked second in the search results for vitamins had their numbers been pooled ­together. Looking at brand visibility on the vitamins keyword group from another perspective, the average listing position for Amazon Elements, Solimo and 365 Everyday Value was position 4, 5 and 9, respectively, while the average listing position for the top-three brands, Nature Made, Bronson and Nature’s Bounty, was position 14, 12 and 15, respectively. That means Amazon brands on average displayed far higher on the page than even the most visible brands on the vitamins keyword group, though likely less often. In the cold and cough medicine category, Amazon private label brands were less prominent, though still present among top 10 brands on the keywords cold medicine, cough suppressant and cough syrup. Out of 35 brands advertising on the keyword group, Solimo ranked 8th while 365 Everyday Value ranked 9th, essentially beating out two dozen other brands. Together these findings suggest tougher competition for brands in the allergy, vitamins, and cold and cough categories to appear in the top positions on the first Amazon search results page; there are simply fewer such positions available, as Amazon is often taking those spots for itself to promote its own products. 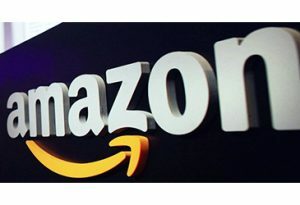 In addition to O-T-C medicines, Kantar Media data shows Amazon private label brands at the top of Amazon.com search results for several personal care/household items also commonly purchased in drug stores and grocery stores (where both O-T-C and prescription drugs are commonly sold). • Amazon Elements ranked first on the keyword baby wipes, beating out Huggies and Pampers, which ranked second and third, respectively. • Solimo ranked second on the keyword hand soap behind Softsoap, while Amazon’s Presto! brand ranked seventh. • Solimo ranked second on the keyword lotion behind Olay. • Amazon’s Mama Bear ranked fourth on the keyword laundry detergent while Presto! ranked 10th. • Solimo ranked sixth on the keyword sunscreen. Given Amazon brands’ presence in O-T-C and personal care product searches, and the fact that it purchased online pharmacy PillPack earlier this year, it’s not unreasonable to speculate that the retail giant may be seeking to gain a foothold in another traditional retail category (as it’s doing with grocery) and ultimately replace the drug store altogether for its shoppers. Jim Leichenko is director of marketing at Kantar Media. He can be contacted at Jim.leichenko@kantarmedia.com.